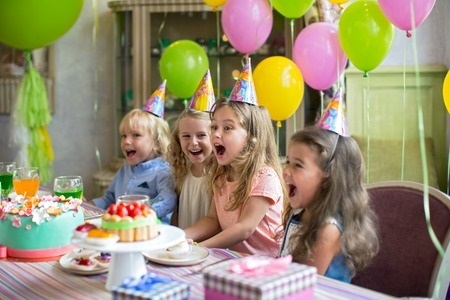 It’s very easy to lose track of your budget when planning a birthday party for your child. You want to give your child the best birthday party possible, but you should know that you don’t have to spend a fortune to do it. It is possible to host a budget friendly birthday party for your child that will be memorable for years to come. In order to make sure that you don’t blow your budget, it’s important to begin by figuring out what your budget will actually be and sticking with it. Crunch the numbers and come up with a price that makes sense and that fits within your financial situation. Everyone’s budget will be different, but regardless of what budget you come up with, having one in place with help you make decisions as you move forward. What does your child want to do more than anything else at their birthday party? Plan the party around one major activity instead of cramming in 10 different activities that children aren’t interested in. For example, if your child is set on having pony rides or face painting at their party, budget to make sure that is the main activity for your child and their friends. It will ensure that your child is happy and allow everyone to enjoy the activity your child chooses. As a parent, you might want to buy the very best cake for your child’s birthday. But let’s be honest: Most kids don’t really care how nice an expensive cake looks or how much it cost to make. They just want to eat it as fast as they can. This means that you probably don’t need to go all out and spend the majority of your budget on a cake. Instead, go with a cheaper option—or better yet, make the cake for the party yourself!—and use the money you save on the activity that will take place at the party. New Joy Farm can provide you and your child with plenty of fun activities at their next party, for just a fraction of the cost of some of the other activities out there. We offer pony rides, bounce houses, face painting, and more, contact us today!